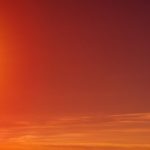 There are countless resources for managing personal finances and the growth of the Internet has allowed anyone to put out information related to the space but much of these content and resources are veiled attempts to sell you a product. The need for vetted, accurate, and actionable information has never been larger for those trying to navigate the sea of information to work towards their financial goals. SmartAsset has built a number of world-class resources and tools focused on different aspects of personal finance management including – home buying, taxes, retirement, banking, and credit cards. These tailored resources, currently reaching 45M per month, are embedded in some of the largest digital publishers and these resources also reside on the SmartAsset website. At the backbone of the company is its financial modeling technology that allows users to input information about their circumstances and see how different personal finance options will affect their situation in a personalized and holistic way. 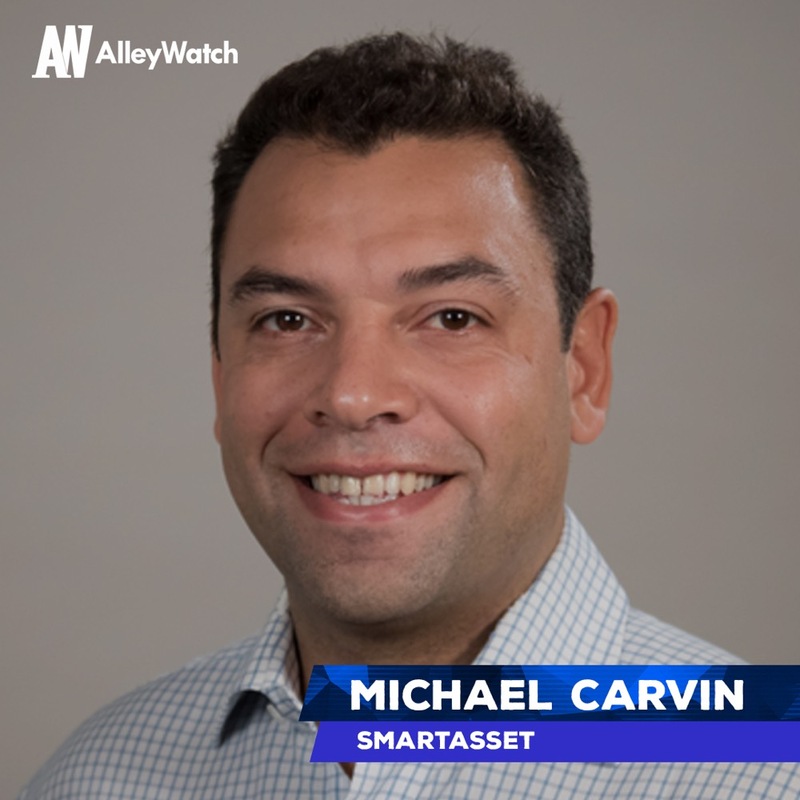 AlleyWatch sat down with CEO and cofounder Michael Carvin to learn more about the company, its origin, future plans, and the company’s latest round of funding, which brings its total funding raised to $51.4M over six rounds since its founding in 2012. We just raised $28 million in Series C funding. The new investment comes from Focus Financial Partners (which is backed by Stone Point Capital and KKR), Javelin Venture Partners, TTV Capital, IA Capital, Contour Venture Partners, Citi Ventures and Fabrice Grinda, among others. 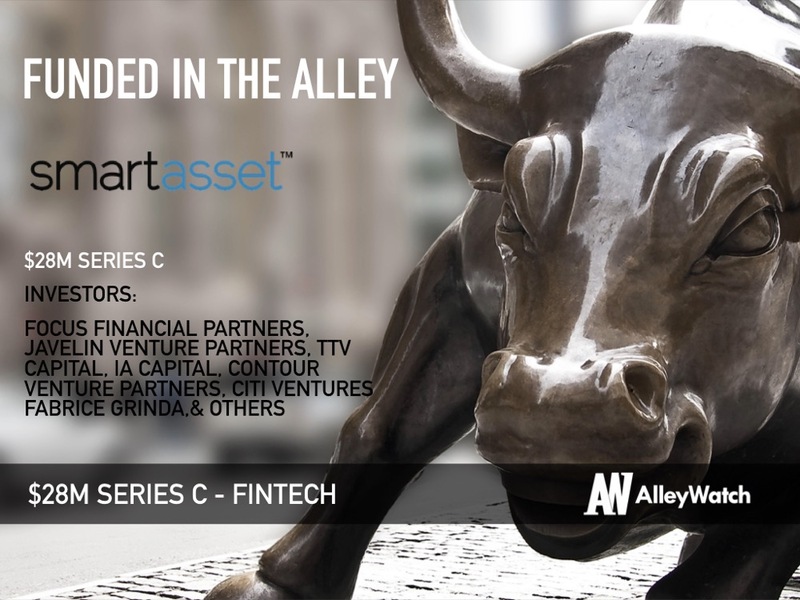 SmartAsset is a financial technology company helping people make smarter financial decisions. Our core, proprietary Automated Financial Modeling technology simulates the effect of different decisions on a consumer’s personal finances. This enables us to deliver highly accurate, highly individualized information on every aspect of a consumer’s personal finances – home buying, taxes, finding financial advisors, retirement planning, life insurance, personal loans, student loans, credit cards, loan refinance, taxes, investing and more. We combine this technology with the dissemination of data-driven studies and educational articles produced by our in-house editorial team which delivers information and gets people talking about important financial decisions. Two years ago, we launched a brand-new tool that also is powered by proprietary technology – Captivate. Captivate extends the reach of SmartAsset’s tools and calculators across the web, appearing on partner websites like AOL, MarketWatch, Yahoo! Finance and more than a hundred other top-tier digital publishers. The technology automatically places specific tools within relevant articles. For instance, Captivate will embed a retirement readiness calculator within an article about retirement savings. This empowers consumers to act instantly on topics they’ve indicated interest in. Captivate is so effective that it reaches more than 35 million consumers each month. Combined with SmartAsset.com’s own web traffic, this has elevated SmartAsset’s offerings to become the most widely viewed personal financial resource on the internet, with a total of 45 million unique monthly viewers. Recently, the company launched SmartAdvisor, the first digital platform connecting financial advisors with investors. This latest funding round will drive further expansion of this service, which already funnels billions in AUM to financial advisors through its platform each month. What inspired you to start SmartAsset? Back when I was worked in private equity, I was trying to decide whether to buy a home or continue renting. So I went online to gather information about mortgages and rates in order to make the smartest decision about this major financial move. However, I found it difficult to get trustworthy information online that was useful and didn’t cost a lot of money. 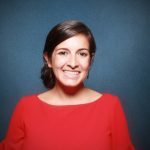 I felt that everything I read was misleading, inaccurate and essentially useless – and I worked in finance! I could only imagine how people who were unfamiliar with financial jargon felt while navigating big decisions. So drawing on my private equity career experience using financial models to help big companies make big decisions, I created my own financial model to figure out how a home purchase would affect my finances over time, compared with renting. After crunching the numbers, I determined that as long as I stayed in the home for at least a few years, buying was the better move. Inspired by my experience, I teamed up with financial technology expert Philip Camilleri to create the proprietary Automated Financial Modeling technology that powered a calculator that enabled consumers to conduct the same analysis I did, for free. The two of us co-founded SmartAsset, and were accepted into the Y Combinator startup incubator. The rest is history. Today, people’s first destination for personal financial resources is the internet. But the online offerings of such information are fragmented, decentralized and often inaccurate. We work incredibly hard on user experience and leveraging the data required to ensure accurate answers to your questions. SmartAsset’s proprietary Automated Financial Modeling technology powers all of the company’s tools. It is a highly accurate modeling engine. This is a game-changer for consumers in need of individualized, personalized highly accurate information in order to make smart personal financial decisions. What market does SmartAsset target and how big is it? The scope of the target market is inclusive of every consumer in America. With 45 million unique monthly visitors already making SmartAsset the most-viewed source of personal financial information on the internet, the sky is the limit for SmartAsset’s target market. Where do you see the personal finance space evolving to fueled by tech? What is on the horizon? We believe the expansion of consumers seeking financial information on the internet will drive forward the process of making financial professionals more accessible, more researchable and more selectable. With our SmartAdvisor service, not only can consumers identify financial advisors who have areas of expertise in those consumers’ specific needs, but also financial advisors can identify and connect with consumers who are great prospects for the advisors’ specific criteria. SmartAsset SmartAdvisor platform is the web’s leading resource for helping people find financial advisors, where we receive a fee for matching a user to financial advisors. SmartAdvisor is the first digital lead generation platform for financial advisors. It funnels investors through a 20-25+ question survey and then applies proprietary algorithms to match those investors to financial advisors, who pay per-lead on a sliding scale basis depending on the investors’ investable assets. This new venture capital funding will fuel growth of this platform. We also generate revenue from helping our users find the right financial products. For example, in our home ownership section, we show users a range of mortgage alternatives. In our life insurance section, users are able to see live pricing on different policy types from different vendors. Even more recently, we launched our SmartAdvisor product. We hadn’t planned on starting the fundraising process until later this year, but given the clear interest in our growth, we did proceed. The round was oversubscribed and we are excited to have such strong partners on board. One challenge was making sure that the capital raise terms synced with our vision for the future of the company. We wanted to find a strategic partner who would not only provide funding but also important knowledge into the financial advisor space. We are very pleased with how it turned out. We are the most widely-viewed source of personal financial information on the internet. That means we give our financial institution and financial advisor partners unprecedented access to a high-intent audience of consumers seeking their services. 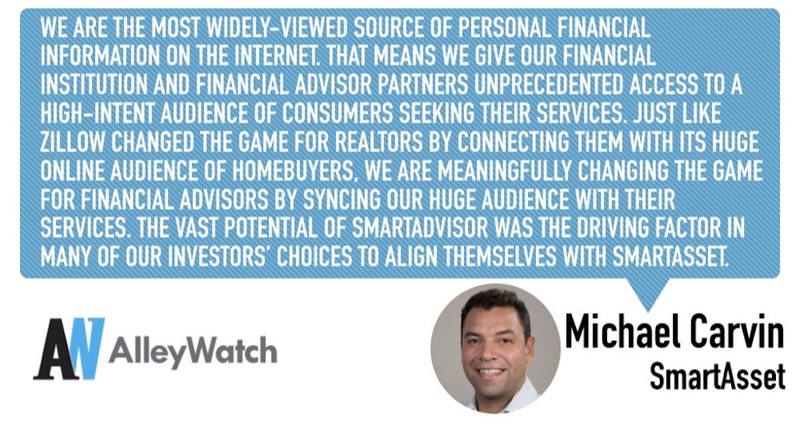 Just like Zillow changed the game for realtors by connecting them with its huge online audience of homebuyers, we are meaningfully changing the game for financial advisors by syncing our huge audience with their services. The vast potential of SmartAdvisor was the driving factor in many of our investors’ choices to align themselves with SmartAsset. We expect to see continued growth in headcount, revenue and users. We are more than double where we were this time last year with each of those and expect that growth rate to continue. This is an exciting time to be an entrepreneur in New York and around the country. Getting funded is a huge milestone for a company, and it must be a very carefully considered decision. You’ll have to evaluate if you have the best chance of meeting your goals via debt or equity. Make sure you’re comfortable with whichever one makes the most financial sense, and if you are not sure, definitely talk to a professional who can guide you through the thinking process. Also, when seeking investors, I would always recommend a VC firm that is in your field. Since they’ll often have a say in your strategic direction, align yourself with professionals who know more than you do about the financial state of your niche. The strategic counsel investment they provide can be as valuable as their financial investment. Growth! We’re hiring aggressively, investing in key service areas and beating milestone after milestone ahead of schedule. We’re looking ahead to most of this growth within our SmartAdvisor financial advisor lead generation service vertical.